Inventoried Item! Ships within 48 hours! 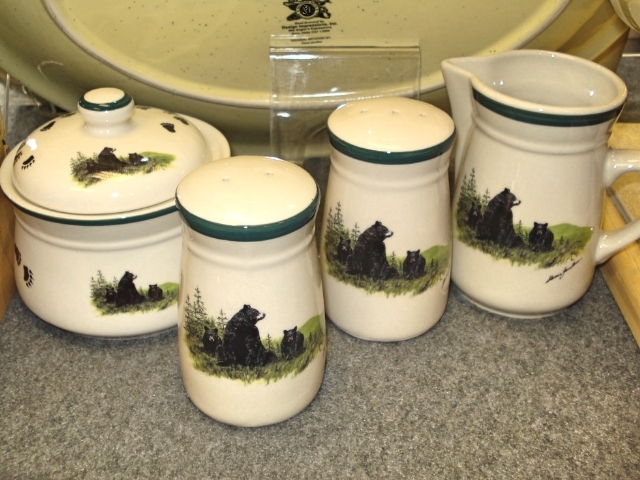 4pc Cabin Series completer set - Features a natural glaze stoneware with dark green hand painted rim. Each set includes a Salt and Pepper Shaker, Creamer and Sugar Accessory items. Original Artwork by Dann Jacobus.